Offers a full range of professional services in supporting value creation for your company’s shareholders. Our engaging partners and consultants are accounting, finance and legal professionals who are well-equipped to address your business needs in leveraging opportunities while meeting the challenges of operating in Vietnam. Based in Vietnam since 2007, Chor Ghee has supported many foreign companies in entering Vietnam through M&A and new investment licensing application, as well as providing taxation, accounting / audit and business advisory support. ​​He has successfully developed an advisory and accountancy practice over the past 10 years that has since March 2014 merged into Tricor Vietnam. Chor Ghee started his accounting and advisory career with Coopers & Lybrand / Price Waterhouse in Kuala Lumpur from 1993-1996. He then joined a Hong Kong public listed hospitality and leisure group as an accountant and left as the Group’s Vice President (Legal and Corporate Affairs) in 2002. During his tenure, he managed legal, taxation, and corporate affairs for the group’s business operations that spanned more than 15 countries. Professionally Chor Ghee is a member of the CPA Australia, Malaysian Institute of Accountants and Chartered Institute of Taxation. He holds several postgraduate academic qualifications in business administration, political science and e-commerce from distinguished universities in Australia and UK. Passionate in developing young professional talents as well as contributing to the advancement of professionalism in accountancy and finance in Vietnam, Chor Ghee is currently a visiting faculty member in accounting and finance with the University of Economics of Ho Chi Minh City, Centre Franco-Vietnamien de formation à la Gestion (CFVG) and Solvay University (Open University campus) in Vietnam. He also conducts exam revision classes and speaks regularly for CPA Australia in Vietnam. 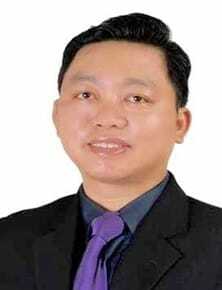 ​Khai Nguyen has more than 10 years of working experience in tax and corporate services. Prior to joining Tricor Vietnam, he was with KMPG for 5 years and with BDO Vietnam for 3 years where he was involved in a wide range of tax practice in Vietnam i.e. Corporate Income Tax, Foreign Contractor Tax, Value Added Tax, Personal Income Tax, and other relevant corporate services e.g. market entry and investment licensing, M&A advisory, HR services, etc. Khai graduated with LLB from the University of Law and Bachelor of International Economics from Foreign Trade University of Vietnam and is currently pursuing LLM degree from the University of Economics, Vietnam. During his course of working as a professional, he has involved in many engagements across a wide range of industries e.g. trading, real-estate, manufacturing, education, services, BOT projects, EPC contractors, BCC etc. His clients are mostly foreign invested enterprise and foreign contractors and thus he has honed his skills in understanding and managing relevant tax and legal issues relating to inbound investment. Khai is proficient in written and spoken English and Vietnamese. ​Van Hau has over 11 years of working experience in the field of auditing, accounting and consulting. He has experience in serving foreign companies, large corporations and public listed companies in Vietnam in different industries, including manufacturing, transportation, information technology, media and telecommunication services, software and garment industries. Van Hau has developed an in-depth knowledge in Vietnamese Accounting Standards (VAS) and International Financial Reporting Standards (“IFRS”) through his many years of performing auditing work with foreign companies. A graduate of the University of Economics HCMC in accounting and auditing, Van Hau is a Certified Public Accountant (Vietnam) and holds the Certificate for Tax Practice (Vietnam). He is currently pursuing ACCA.